(New) Did You Know What The US Navy Has Been Doing In Antarctica? Antarctica! Do you know what the Navy has been doing in Antarctica this whole time? It seems they have been pretty busy down there and hiding it pretty well, till now! Antarctica! 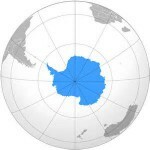 You Need To See What The Government Has Started In Antarctica! 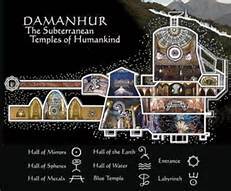 The Temples of Humankind are a collection of subterranean temples buried 30 metres (100 ft) underground built by the Federation of Damanhur. They are decorated in several motifs stressing peaceful human collaboration. The Temples are located in the foothills of the Alps in northern Italy, 50 kilometres (30 mi) from Turin, in the valley of Valchiusella. A truly shocking and astonishing video on extremely strange events in the Antarctic. A naval officer tells us what he remembers, including seeing a huge opening in the ice in a no-fly area they were crossing with a medical emergency on board. Then he ferried a group of scientists who had disappeared for two weeks, and has specifically been warned not to refer again to this subject. As he put it, “they looked scared.” When they returned to McMurdo, their gear was isolated and they were flown back to Christchurch, New Zealand in a special plane. He discusses what he saw and experienced in detail. This is the most provocative story about what is going on in Antarctica ever presented anywhere. 5 Censored Books Establishment Wants Hidden. The CIA, the right hand tool, of the Military-Industrial Complex, involvement in every diabolical, evil endeavor on the face of the earth. LEGAL DISCLAIMER: Regarding Copyright Law. … [t]he CIA did not handle heroin, but it did provide its drug lord allies with transport, arms, and political protection. In sum, the CIA’s role in the Southeast Asian heroin trade involved indirect complicity rather than direct culpability.” . . . EXCERPT from Description published with video. The following persons are known to have participated in covert operations, as distinct from clandestine intelligence gathering (espionage) either by their own admission or by the accounts of others: . . . From Description published with video. Credit Artwork: Leonardo da Vinci (1452–1519). High resolution scan by http://www.haltadefinizione.com/ in collaboration with the Italian ministry of culture. Scan details. SOURCE: Wikipedia Commons. 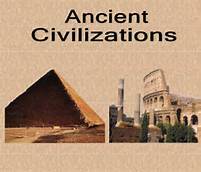 This work is in the public domain in the United States, and those countries with a copyright term of life of the author plus 100 years or less. What is revealed is absolutely Jaw Dropping ! The question is , is what did Da Vinci Know that he is trying to reveal ?? The inner power of the mind’s eye ?? Featured Image: The Great Royal Buffalo Hunt. (1895) CREDIT: Color print by Louis Maurer. SOURCE: Wikipedia Commons (Public Domain). “The Grand Duke [Alexey Romanov] in the company of General Philip Sheridan, General Edward Ord, and Lt. Colonel (Brevet Major General) George Armstrong Custer, the latter having been selected to be Grand Marshall of the hunt, arrived at Fort McPherson on 13 January 1872, by a special train provided by the Pennsylvania Railroad Company. They were greeted by an enthusiastic crowd, headed by William Frederick Cody (known as Buffalo Bill). After speeches, the Duke’s party set out for the hunting grounds.” . . . SOURCE Wikipedia. A painting has been discovered of the last crown prince of the Russian Empire, Alexey Romanov. Featured Image: A United States $100 dollar bill. Cropped from USDnotes. Source: Wikipedia Commons. (Public Domain). 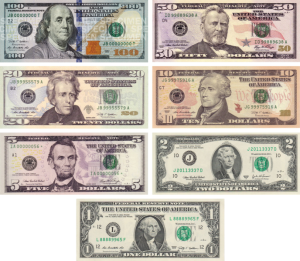 Image: A digital copy of every bill currently being issued by the private banking octopus the Federal Reserve Bank to be used as out fiat money.